Making a fantastic first impression is a snap when you amaze visitors to your building or office with pillowcase banners. On the trade show floor, they excel at communicating sophistication and innovation. With the right pillowcase fabric banner stands, you can take a presentation and turn it from nice to wow. The bottom of the banner presents with a wide base that is ideal for the display of a motto or tagline. 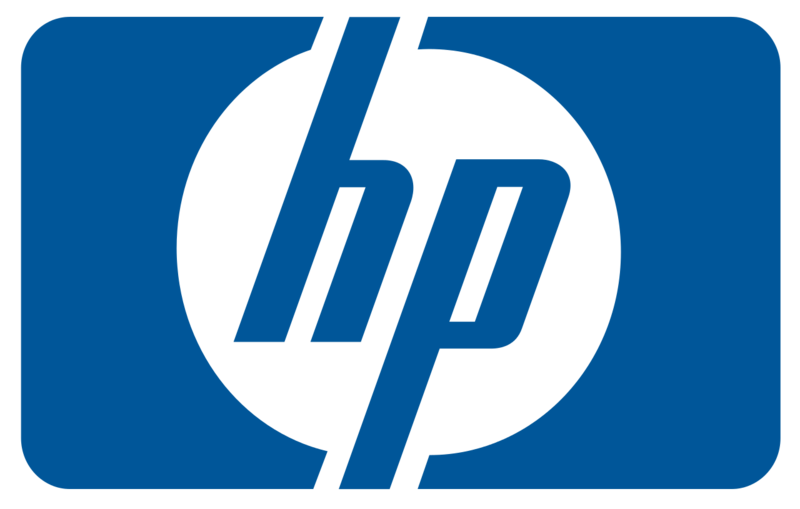 Your company’s name and logo go toward the tip of the shark fin. In between the two, you have plenty of room for showing off niche graphics. Single or double-sided display options let you address guests heading your way from any direction. 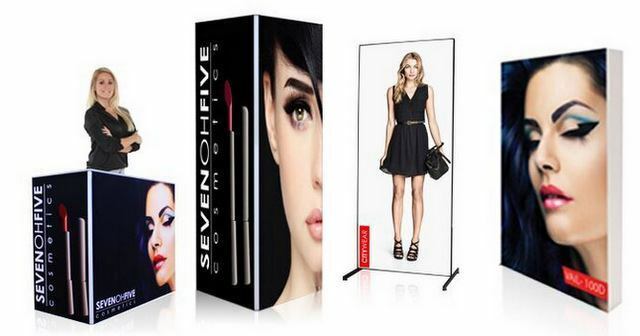 Although the layout size is not uniform, the height of the banner stand allows for an 89-inch display while the width measures closer to 70 inches. The aluminum frame of this model imitates the appearance of a cobra being charmed. As you pull the pillowcase fabric over the framing, notice how easily the material adjusts to the curves. The width of the stand accommodates a printed banner measuring 36.5 inches while the height reaches 96 inches. If your interior décor or trade show booth features curves and innovative looks that you just do not see every day, this is an excellent banner stand. Add a 3D appeal to your look by combining the fabric of the banner with the slight curvature of the otherwise straight stand’s frame. The height reaches 92 inches and the width measures 23.5 inches. Rounded corners prevent snags and support the curving lines of the look. We recommend that you do not mix and match the various stand frames with curvatures. Select the model you like and stick with it. If you pair too many curved frame displays, you quickly add a cluttered look the setting. If you are thinking of mixing in at least some different looks, we would pick the straight stand. If lets you display the same pillowcase fabric banner as the curved structure, but it does not threaten to overwhelm your show area with curves and three-dimensional appeals. The vertical frame is ideal for use with trade show booths featuring a smaller footprint. Whenever possible, we always recommend the investment in optional LED lighting. Doing so lets you draw attention to the various design elements and messages your fabric banners present. Some banner stands accommodate clear acrylic shelving to be mounted to the display. If you do so, you can transform your product into a kiosk-style signage solution that may feature brochures, hold small displays, or serve as ornamental dress-up pieces. If you would like to see some of these products up close and personal, check out the Exhibitor’s Handbook we feature on our website. Remember that banner stands are no longer just for the trade show circuit. 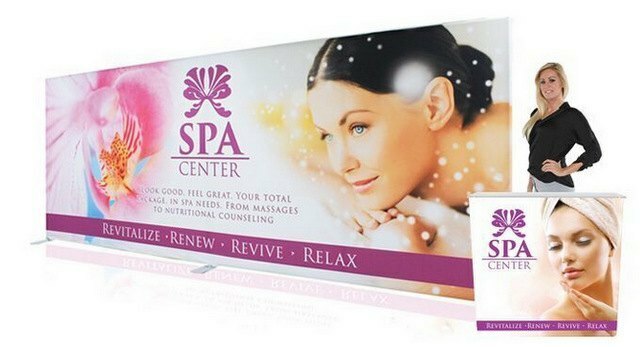 They fit in with lobby signage, make great impressions in offices, and can function as point of sale signs in retail settings. Contact us today to learn more about the customization potential of these products.